Many serverless platforms add constraints around support for languages, libraries, or even restrict the way you code. 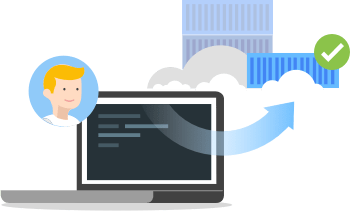 Cloud Run enables you to write code your way by allowing you to easily deploy any stateless containers that listen for HTTP requests. Containers offer flexibility and portability of workloads. With Cloud Run, you can build great applications in your favorite language, with your favorite dependencies and tools, and deploy them in seconds. Cloud Run enables you to run stateless HTTP workloads without having to worry about servers. It abstracts away all infrastructure management such as provisioning, configuring, and managing servers, so you focus only on writing code. It automatically scales up and down from zero depending on traffic almost instantaneously, so you don't have to worry about scale configuration ever. Cloud Run also charges you only for the resources you use (calculated down to the nearest 100 milliseconds), so you will never have to pay for your over-provisioned resources. Deploy your stateless containers with a consistent developer experience to a fully managed environment or to your own GKE cluster. 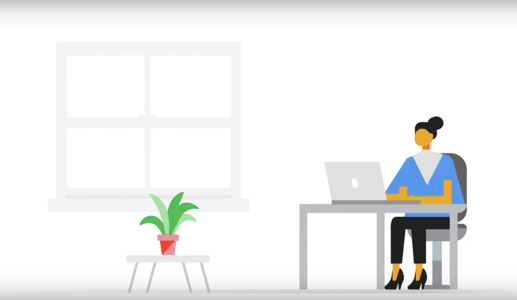 This common experience is enabled by Knative, an open API and runtime environment built on Kubernetes that gives you freedom to move your workloads across different environments and platforms: fully managed on GCP, on GKE, or anywhere Knative runs. A simple command-line and user interface to quickly deploy and manage your services. Cloud Run automatically scales up or down from zero to N depending on traffic. When running on GKE, the autoscaling is limited within the capacity of your GKE cluster. No infrastructure to manage: once deployed, Cloud Run manages your services so you can sleep well. Use the programming language of your choice, any language or operating system libraries, or even bring your own binaries. Containers have become a standard to package and deploy code and its dependencies. Cloud Run pairs great with the container ecosystem: Cloud Build, Container Registry, Docker. Cloud Run services are regional, automatically replicated across multiple zones. Out-of-the-box integration with Stackdriver Monitoring, Logging, and Error Reporting to ensure the health of an application. Cloud Run is built on the Knative open-source project, enabling portability of your workloads across platforms. Map your services to your own domains. 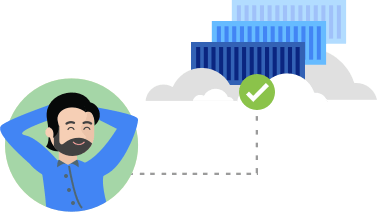 Cloud Run gives you the flexibility to run services in Google Cloud or on Google Kubernetes Engine. If you're already using GKE, Cloud Run can deploy into your cluster, allowing access to custom machine types, additional networking support, and GPUs to extend how your Cloud Run services are run. The best part is you can easily change your mind later, switching from Cloud Run to Cloud Run on GKE or vice versa without reimplementing your service. Pay-per-use (see below). Available as part of Kubernetes Engine. Pricing will be determined before GA.
One vCPU per instance with ability to change memory. Standard or custom machine types on GKE, including GPUs. Manage the identities that are allowed to invoke each service (or allow unauthenticated invocations). Publish services to the internet or make them available to cluster or VPC network only. No access to VPC / Compute Engine network. Services are not part of the Istio service mesh. Access to VPC / Compute Engine network. Services participate in the Istio service mesh. Automatic service URLs and SSL certificates. Custom domains only with manual SSL certificates. For more detailed information on pricing, see our documentation page here. Cloud Run charges you only for the resources you use, billed to the nearest 100 milliseconds. Cloud Run on GKE is an add-on to Google Kubernetes Engine clusters. Workloads deployed by Cloud Run on GKE are included in your GKE pricing. Final pricing for Cloud Run on GKE will be determined before GA. Google Kubernetes Engine is priced based on provisioned resources for the cluster. You can use the Google Cloud Pricing Calculator to estimate the cost of a Google Kubernetes Engine cluster. 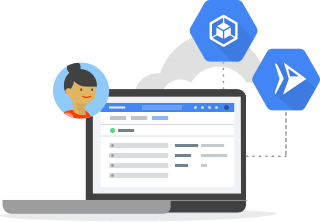 Google Cloud Run allows us to access, process and serve large amounts of imagery data stored in Google Cloud Storage, with the freedom to use our own custom toolchains and without having to worry about scaling the service to the realtime load. Cloud Run removes the barriers of managed platforms by giving us the freedom to run our custom workloads at lower cost on a fast, scalable and fully managed infrastructure. Our development team benefits from a great developer experience without limits and without having to worry about anything. Explore more helpful resources for Cloud Run and Cloud Run on GKE.